RCKC's Sixth Annual Conference, "Made in Korea, Assembled in the U.S.: Personal Narratives of Korean Adoptees," was held on Saturday, November 7, 2015 at the Rosenthal Library at Queens College. This conference focused on the experiences of Korean adoptees who grew up in the United States. Eleven presenters from around the U.S. read from personal essays and shared intimate details of their lives with the audience, and approximately 100 people attended the all-day affair. This conference was a forum for Korean adoptees to share their individual experiences and to tell their stories on their own terms, and it was very powerful and emotionally stirring. 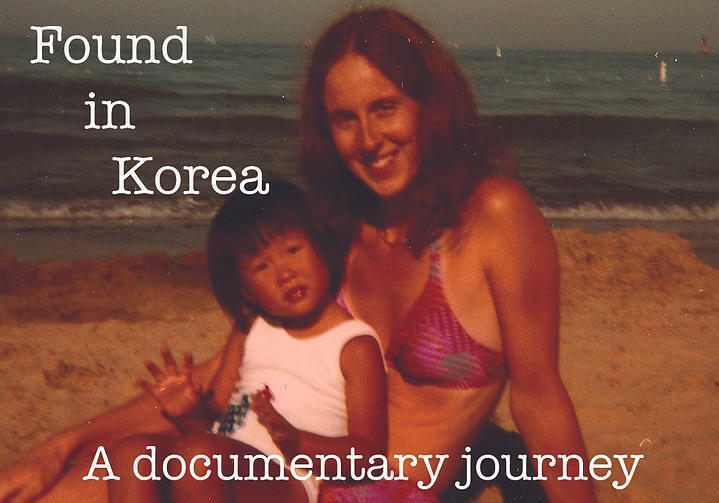 Korean adoptees have been marginalized by the Korean and Korean-American communities for far too long, and we believe that it is important to embrace them as part of the Korean diaspora. There has been too much negative stigma unjustly imposed on Korean adoptees as well as their birth families, who are often pressured into giving up their children for a variety of reasons. Some of these reasons include Korean society persecuting single unwed mothers, ascribing orphan social status to adoptees, and an overall lack of support and resources for families or mothers who have difficulties raising children for whatever reasons. We plan on publishing an edited book with the essays presented at the conference as well as essays by a few additional individuals. We would like to thank the Research Foundation for Korean Community (RFKC) and Queens College for making the conference possible. We would also like to thank Eleana Kim, Mee Hyun Gerstein, the International Korean Adoptee Association (IKAA), and Also-Known-As (AKA) for helping us publicize the call for submission of essays. And last but not least, we would like to thank the presenters for contributing their valuable time and energy in writing wonderful essays and traveling to Queens to participate. Special thanks to Mi Ok Song Bruining for allowing us to use the title of two of her poetry chapbooks as the title of the conference. On Saturday, October 17, 2015, the 21st annual Global Korea Award Ceremony took place at Michigan State University (MSU). The Global Korea Award (GKA) was created by the Council on Korean Studies at MSU in 1995 to recognize individuals or groups who have made significant contributions to cross-cultural understanding, global education, and the well-being of Korean people around the world. The two recipients of this year's GKA were Professor Pyong Gap Min (the director of RCKC) and Professor Robert M. Oppenheim (Professor of Asian American Studies at the University of Texas at Austin). Past winners include professors of humanities and social sciences, promoters of Korean language education, politicians, medical doctors, missionaries, diplomats, activists, artists, and many others who have contributed to advancing the global understanding of Koreans. The event was organized by the Council on Korean Studies at MSU and the Korean Student Organization at MSU, and it was sponsored by the Asian Studies Center as well as the Visiting International Professional Program at MSU. The Council on Korean Studies was established in 1992 to stimulate interest in Korea, to provide information about Korean cultural activities, to facilitate exchange programs between the U.S. and Korea, and to support programs related to Korea at MSU. On October 15, 2015, the Office of Global Education Initiatives and the Research Center for Korean Community held a press conference at Queens College for members of the local New York Korean media to announce that two separate international exchange partnerships have been established between Queens College and two universities in South Korea (Korea University in Seoul, and Kyung Hee University, also located in Seoul). In November 2014, Professor Min of RCKC and Dr. Helen Gaudette—Director of the Office of Global Education Initiatives at Queens College—traveled to Korea to establish exchange programs between Queens College and these two universities. These are the first partnerships that have been established between Queens College and universities in Korea. Queens College has already sent ten students on exchange to Korea University, and in Spring 2016, Queens College will host two exchange students from Kyung Hee University. Journalists from New York Daily News, The Korea Times, and The Korea Daily were present at the press conference, as were Provost Elizabeth Hendrey, Dean William McClure (Dean of Arts and Humanities), Dr. Helen Gaudette, Professor Pyong Gap Min, Mr. Kwimin Ahn (President of the Korea University Alumni Association in New York), and Mr. Seung Jong Kim (President of the Kyung Hee University Alumni Association in New York). We are very excited about the partnerships between Queens College and these two prestigious universities in Korea. Professor Pyong Gap Min, director of the Research Center for Korean Community, gave a talk on Monday, September 28, 2015 during the free hour (12:15-1:15 PM) in Powdermaker Hall room 351 at Queens College. His talk was part of the ongoing seminar series organized by the Department of Sociology at Queens College. The title of his talk was "The Diversity of Asian Immigrants' Participation in Religious Institutions in the United States," which is also the title of a journal article that he co-authored with Sou Hyun Jang (a doctoral candidate at the CUNY Graduate Center) that was published in issue 76 of Sociology of Religion. Min's major findings are that non-Christian Asian immigrant religious groups are much less congregationally oriented than American and Asian Christians. However, he also found that, on the whole, Asian Protestant and Catholic immigrants attend church substantially more frequently than their American counterparts. We are pleased to announce the arrival of our third visiting scholar for 2015. Jaigi Kim, Professor of Political Science and Foreign Relations at Chonnam National University in Gwangju, South Korea, arrived in New York two weeks ago. He will conduct his sabbatical research in the area for one year. Professor Kim has done research on Korean diasporic communities in the U.S., Japan, China, and CIS (former Soviet) nations. The Research Center for Korean Community's other two visiting scholars in 2015 are Dr. Heejin Lim (who arrived in February) and Professor Yill-Youn Park (who arrived in May and recently returned to Korea). During his stay at The Research Center for Korean Community at Queens College, Professor Kim will examine areas in which the Korean government can provide more support to Korean ethnic organizations in the NY-NJ area. Additionally, he will examine the role of Korean grassroots organizations in lobbying state legislatures and city councils on the east coast of the U.S. to pass resolutions to rename "The Sea of Japan" to "The East Sea" on world maps. In April 2014, the state of Virginia passed a law that required all textbooks approved by the Board of Education to make sure that the body of water was referred to as "The East Sea." Professor Kim will conduct research in northern Virginia to see how Korean immigrants in the area succeeded in helping to get the resolution passed. Professor Jaigi Kim received his B.A., M.A., and Ph.D. from Chonnam National University, and he has been a professor there since 2008.